Format is 21.5 x 27.3 cm (8.5 x 10.7 in. ), here assimilated to bedsheet. 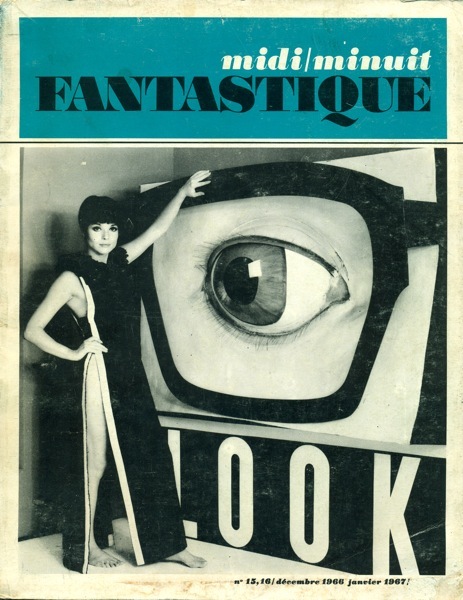 Cover art credit on title page : photograph of Elsa Martinelli in La dixième victime, Elio Petri, 1966. As this magazine is mainly devoted to fantasy / SF / horror films, only genre-related stories or reviews are listed below. OCLC corresponds to the magazine in general, as from 1962.